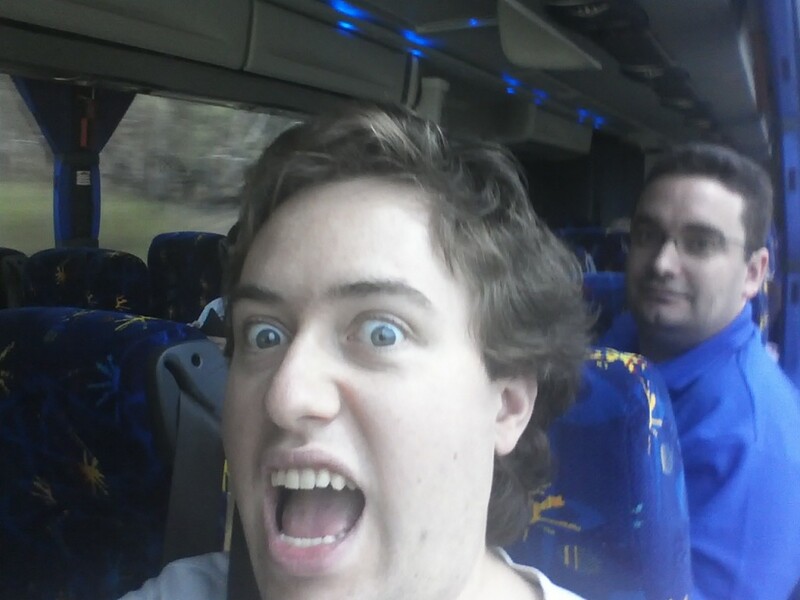 Ended up taking the bus down from Sydney to Canberra – at only around $60 and a 3 hour trip, it made more sense to take the bus down, rather than go through the hassle of getting to and from the airports and all the security hassles of flying. 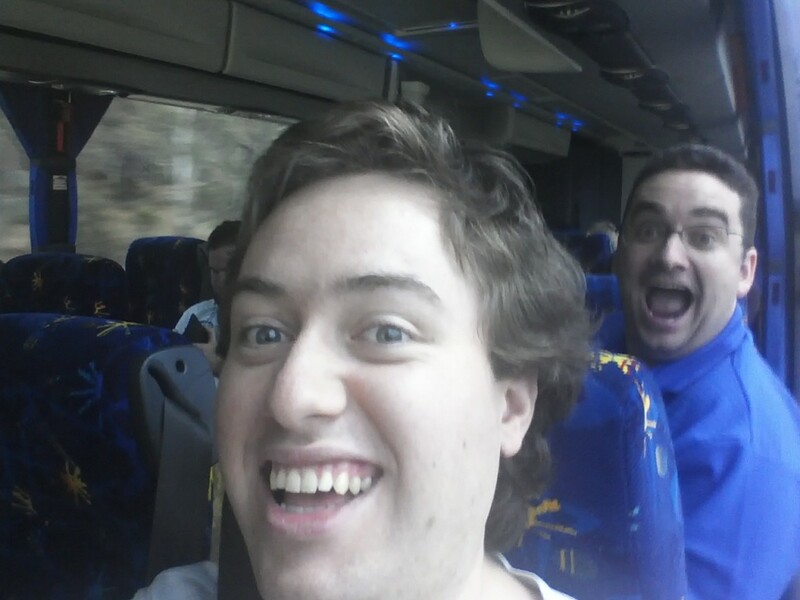 Ended up having several other linux.conf.au friends on the bus, which makes for an interesting trip – and having a bus with WiFi and power was certainly handy. Horrifying wail of the Aucklander! The road trip down to Canberra wasn’t particularly scenic, most of the route is just dry Australian bush and motorways, generally it seems between city road trips in AU tend not to be wildly scenic unlike most of the ones I take in NZ. 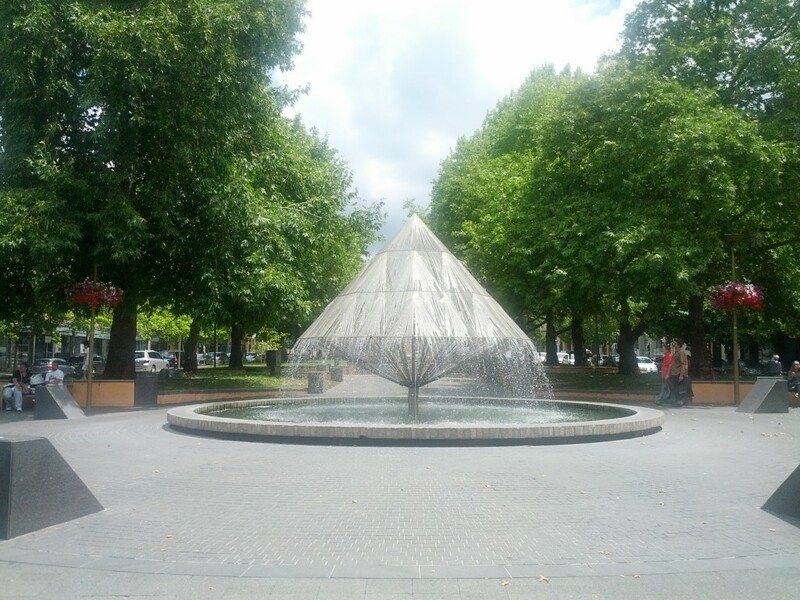 Canberra itself is interesting, my initial thoughts on entering the city was that it’s kind of a cross between Rotorua and post-quake Christchurch – most of the city is low rise- 5-10 story buildings and low density sprawl, and extremely quiet with both the university and parliament on leave. In fact many have already commented it would be a great place to film a zombie movie simply due to it’s eerily deserted nature. Considering it’s a designed city, I do wonder why they choose such a sprawled design, IMHO it would have been way better to have a very small high density tower CBD which would be easily walk-able and massive park lands around them. Canberra also made the mistake of not putting in light rail, instead relying on buses and cars as primary transport. Impressively large transmission tower for such a small city. 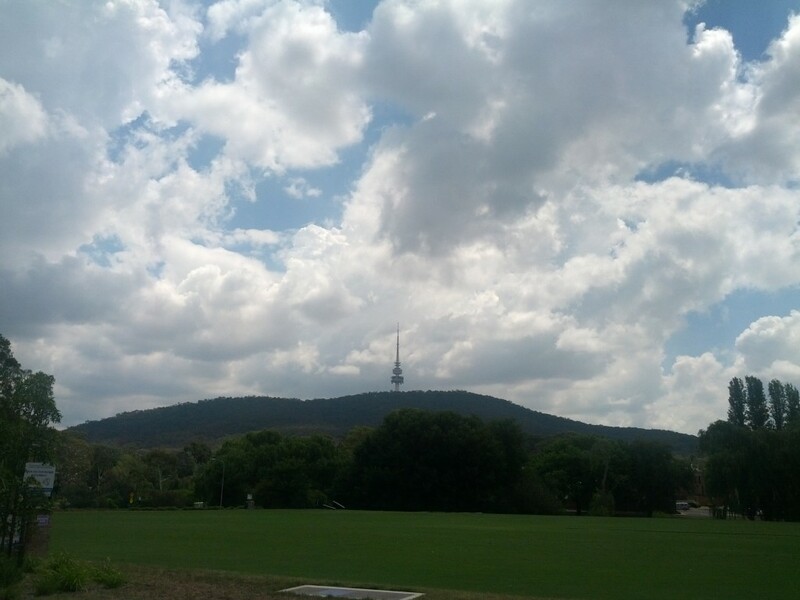 Once nice side of Canberra, is that with the sprawl, there tends to be a lot of greenery (or what passes for greenery in the aussie heat!) 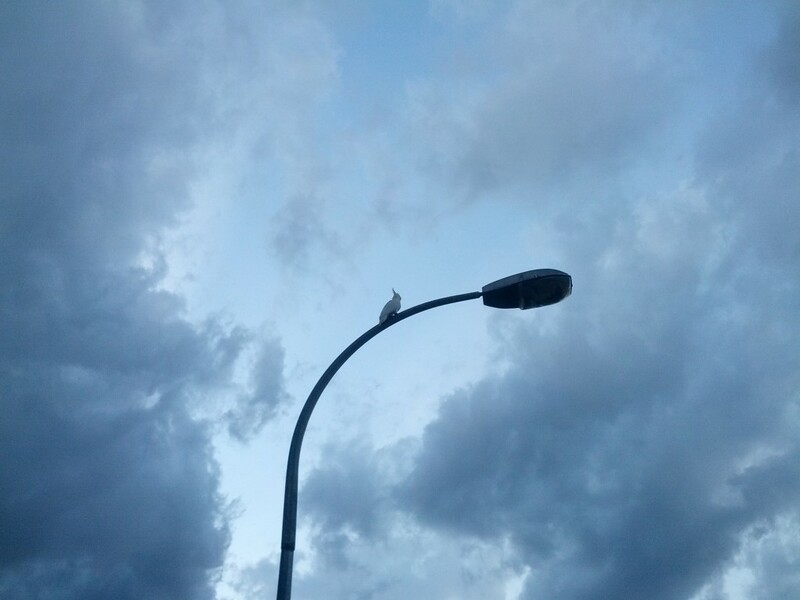 around the town and campus, including a bit of wildlife – so far I’ve seen rabbits, cockatoos, and lizards, which makes a nice change from Sydney’s wildlife viewing of giant rats running over concrete pavements. The evening was spent tracking down the best pub options near by, and we were fortunate enough to discover the Wig and Pen, a local British-style brewery/pub, with about 10 of their own beers on hand pulled taps. 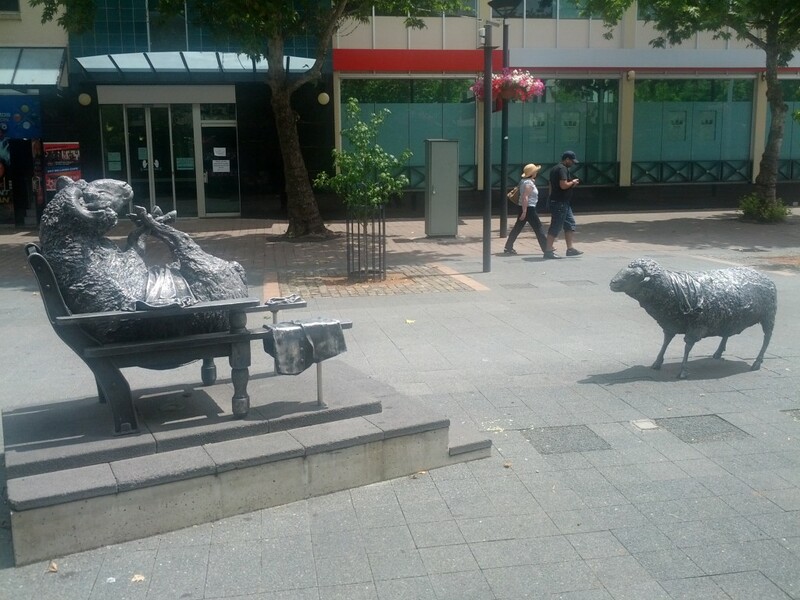 I’m told that when the conference was here in Canberra in 2005, the attendees drank the pub dry – twice. Hopefully they have more beer on stock this year. 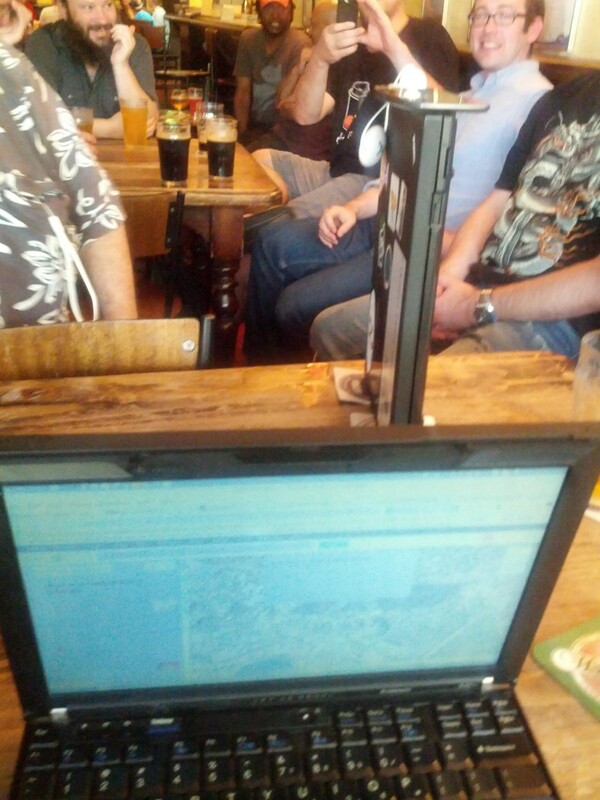 First beer casualty from the conference – laptop being stood vertically to drain, whilst charging a cellphone. Normally every year the conference provides a swag bag, typically the bag is pretty good and there’s usually a few good bits in there, as well as spammy items like brochures, branded cheap gadgets (USB speakers, reading lights, etc). 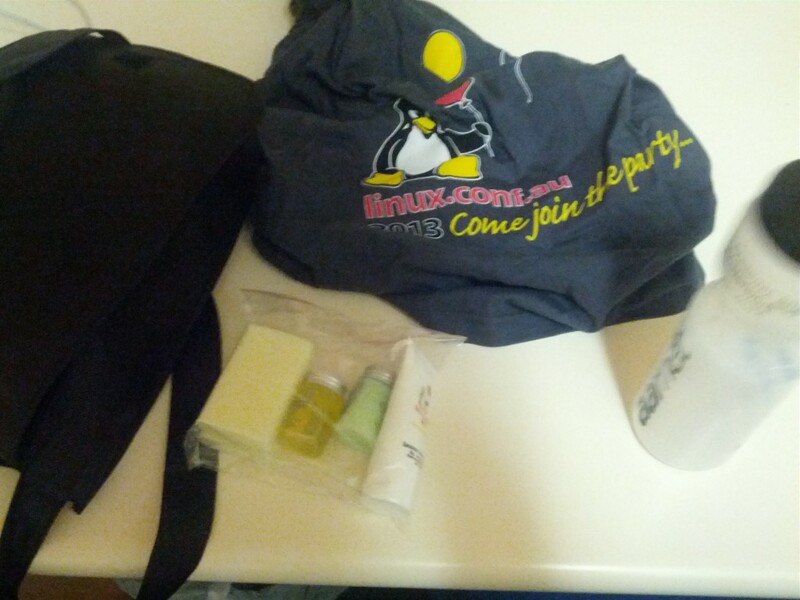 This year they’ve cut down hugely on the swag volume, my bag simply had some bathroom supplies (yes, that means there’s no excuse for the geeks to wash this week), a water bottle, some sunblock and the conference t-shirt. I’m a huge fan of this reduction in waste and hope that other conferences continue on with this theme. Arrrrrr there be some swag me mateys! The conference accommodation isn’t the best this year – it’s clean and functional, but I’m really not a huge fan of the older shared dorm styles with communal bathroom facilities, particularly the showers with their coffin-style claustrophobic feel. The plus side of course, is that the accommodation is always cheap and your evenings are filled with awesome conversations and chats with other geeks. This entry was posted in Uncategorized and tagged canberra, geek, lca2013, linux, linux.conf.au, linux.conf.au, open source, travel. Bookmark the permalink.